Square Enix Ltd. develops, publishes, distributes and licenses SQUARE ENIX®, EIDOS® and TAITO® branded entertainment content in Europe and other PAL territories as part of the Square Enix group of companies. Square Enix Ltd. also has a global network of leading development studios such as Crystal Dynamics® and Eidos Montréal®. 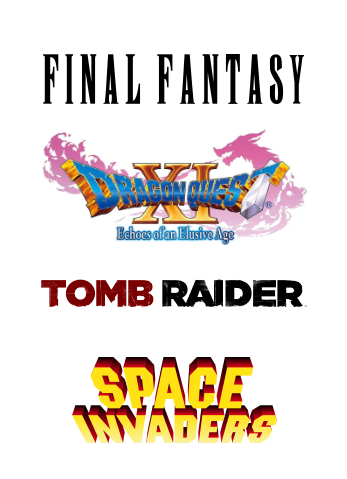 The Square Enix group of companies boasts a valuable portfolio of intellectual property including: FINAL FANTASY®, which has sold over 144 million units worldwide; DRAGON QUEST®, which has sold over 78 million units worldwide; TOMB RAIDER®, which has sold over 74 million units worldwide; and the legendary SPACE INVADERS®. Square Enix Ltd. is a London-based, wholly owned subsidiary of Square Enix Holdings Co., Ltd.
Square Enix collects and processes personal data in accordance with the EU General Data Protection Regulation (GDPR). See the privacy notice for further details.